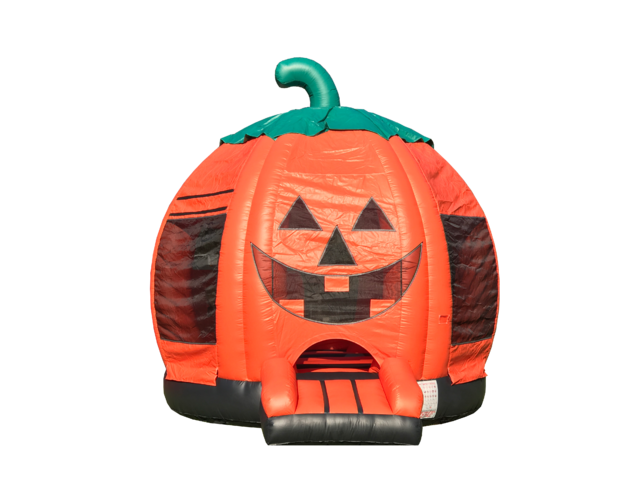 Our friendly looking Pumpkin Bounce House is the perfect addition to any fall festival, pumpkin patch or Halloween party. If you are looking for an eye-catching Jack o'lantern bounce house for your event or party, THIS IS IT! This bounce house is over 17ft tall and 16ft in diameter, to complete your halloween party add tables and chairs, interactive games and a cotton candy machine or a nacho cheese machine and you will be set for a great halloween party.